In the aftermath of Archbishop Gänswein’s stunning confirmation concerning the intentions of Pope Benedict XVI with respect to his resignation, it has become perfectly clear that confusion is the order of the day; with well-meaning, good people drawing varying conclusions. In this way, I shall endow the papacy with a collegial and synodal dimension, as a quasi-shared ministry. Allow me to repeat it once again — my intent is entirely different from that of Pope Celestine V, who after his resignation in 1294 would have liked to return to being a hermit. I, by contrast, shall continue to live within the Vatican; I shall continue to wear the white papal cassock, and I shall continue to be addressed as His Holiness. With this in mind, please answer the following. You may choose up to two answers. If Pope Benedict XVI had presented his intentions as such on 11 February 2013, what conslusions would you have drawn about its effect on the Petrine Ministry and the See of Peter moving forward, as well as the conclave that followed? N/A Ganswein did not accurately present Benedict's intentions. Ganswein accurately presented Benedict's intentions and they have been realized. Ganswein accurately presented Benedict's intentions and they are impossible. The See of Peter was rendered vacant / the conclave that followed was valid. The See of Peter was not rendered vacant / the conclave that followed was invalid. My sensus Catholicus fails me. I must defer to the judgment of a future pope. Correct me if I’m wrong, Canon Law states that once a Pope is recognized by all as the Pope, he is the Pope. If that is the case, the prophecy of Saint Francis of Assisi has been realized. Does that mean Benedict is retired after all? When I read these questions I think less about Ganswein and more about Ann Barnhardt. So far her position seems to have a great deal of support. Recognized by all the Church. Not by “all”. I’ll tell you this, the Church is not in the Vatican. Vatican II and it’s adherents are not in the Church. “Thus, the more violently they try to occupy the places of worship, the more they separate themselves from the Church. They claim that they represent the Church; but in reality, they are the ones who are expelling themselves from it and going astray. Even if Catholics faithful to Tradition are reduced to a handful, they are the ones who are the true Church of Jesus Christ.”-St Vincent of Lerins. -Ganswein accurately presented Benedict’s intentions and they are impossible. -The See of Peter was rendered vacant / the conclave that followed was valid. My basis for thinking this lies with the following point that the consensus of the Church accepted Benedict’s resignation at face value, and accepted Francis’ election at face value. Benedict might’ve tried to sneak in some novelty of retaining some indelible mark and contemplative lifestyle. But this makes Benedict in error, not Francis. However, I do not think it is to the extent that constitutes serious error, by that I mean in such a way that the Church at large could’ve known Benedict’s mind and therefore to invalidate his resignation. What was accepted was his resignation at face value. What was not accepted by the Church at large was that he remains a 1/2 or 1/10 or 1/100 of a Pope. And he was reportedly spoken that his resignation was valid and made of free will, and that Francis election was valid. So we are stuck with an actual Pope – Francis – who is demonstrably a heretic. How to properly judge and depose a heretical Pope. The future of the Church will infallibly define and provide a final solution – which will be by an imperfect council or a future perfect council with a Pope. Francis will be condemned, not as an antipope, but as a Pope. His heretical ideas will be properly condemned and named after him for eternity. Benedict’s novelty will be condemned as heresy. And it will be named after him for eternity. As of now Francis is the Pope because the consensus of the Church at large accepts him as such and this may arguably be seen as infallible in its consensus. Though perhaps it is possible that if the consensus can change in light of new information, can that then be ruled that the consensus at large can be right then? It would seem contradictory, so I would say that the consensus matters at the time of election and that even if there is some issue of validity in the procedure of the resignation or the procedure of the election or other political intrigue, the Pope would still be the visible head recognized by the Church at large. The time to have challenged this is long past. It should’ve been done years ago, and indeed some did question, but not a consensus, and again based on speculation that never had an investigation. So Benedict’s resignation was accepted & Francis’ election was accepted. And if either one of them thinks that there is some novel split, then this was some subtle personal notion they both hold that was never properly defined nor binding on the faithful and is in error and in no way was clearly known or accepted by the Catholic Church at large even at the time of its announcement or in the aftermath of Francis’ election, nor is it accepted now. But the resignation and election are accepted and visible, compared to the invisible split pope notion nonsense. Yes. But the problem is what to do with a Pope discovered to be acting heretically after the fact. This must be determined by a Council and a formal procedure. Just as you wouldn’t go out and commit an act of vigilantism against someone you suspect of committing a crime without have the civil authority put him on trial. Alas, the most probable option has been left out: that neither of these men is or has even been Pope. …or has EVER been Pope. Hilary White (who is the likely reason for choice 6) would likely tell you that you shouldnt be on the internet and should spend more time gardening. Hilary White is a perfect example of why Catholic women should not be teaching, even on blogs, without deference to male authority. Her lunatic ramblings about a “sweet meteorite of death” are sci-fi escapism in the face of a grave spiritual crisis, and show that she owes more to Marshal Appleton than to Marcel Lefebvre. I never really paid her much mind until I was directed to her latest piece on the Remnant. I was very unimpressed. Wow, it is sooooooo good to actually read a man saying what you said (“Hilary White is a perfect example of why Catholic women should not be teaching, even on blogs, without deference to male authority. “) I have said the same thing in different ways a few times and have gotten “reemed” by several people, but i still and always believe what you stated. I will even say that i think because of this problem, our Church and culture have become very feminized – women are ruling over men too much and even in the Parishes, you see women everywhere, running seemingly everything. Thank you George! I hope that men take back our Church Parishes and even our country. She rightly condemns the heresy of sedecantism. Sorry, let’s make that “the heresy of Sedevancantism”. Sedevacantism is not a heresy….it is a position. I say the vatican 2 council is not Catholic and dont heed it, you say the vatican 2 council IS Catholic and dont heed it; I say the vatican 2 popes are heretics, and therefore not popes, and dont heed them, you say the vatican 2 popes are heretics but STILL popes and dont heed them. We both acknowledge the same wrongs, but only one of us disobeys the Faith….and it aint me. I dont like arguing the sede position here but you called me a heretic and Im not going to stay silent. Sorry. Fair enough, Rich. She certainly smacks down the “position” of sedevacantism. Jesus’ yes meant yes and His no meant no. When he gave us the Petrine office, He didn’t say “until a select few don’t like the guy upon the throne”. Come back, Rich. Quit deluding yourself. I decided to stop posting in websites, but I really have to comment here. If the SSPX position is true, did the Holy Spirit take a vacation since 1960? The Holy Spirit keeps the Church holy and free from error. 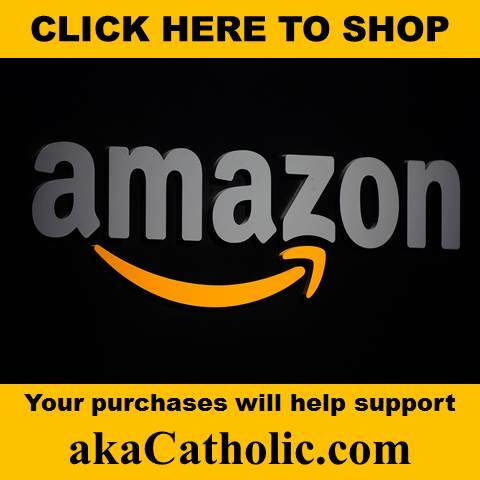 Did God divorce the Catholic Church? Isn’t that basically what the position is implying? You tell me which position is heresy: that non-Catholics have no authority in the Church or that God has abandoned the Church? That’s because it is not probable. They may very probably be heretics. And may be condemned formally in the future. But they remain valid popes, even if their election was illicit. How can anyone be a valid pope if his election was illicit? That doesnt even make sense. The same reason bad men can become illicitly elected as Pope but be valid Popes. Or that bad men can be illicitly ordained as priests yet possess all the sacramental powers of priests, or millions of uncathecized teenagers can illicitly receive the sacrament of confirmation and be validly confirmed Catholics. Please explain to me what an illicit valid election of a pope is. Illicit, by its definition, is “forbidden” so how can a pope be validly elected if the election was forbidden? Bad men can be elected every day of the week to the papacy….you cant have a valid election which is also illicit. Maybe Im nuts, but illicit elections to the papacy and sacraments administered by those illicitly ordained are two different things. You’re confusing two entirely different things. Papal election is NOT a Sacrament and has nothing to do with Sacraments (such as ordination, confirmation, etc). As rich said, what you wrote makes no sense whatsoever. In any case, as you probably already know, of the hundred or so theologians, saints and doctors of the Church (starting from the early Church Fathers) who have contemplated the possibility of a heretical (or apostate) Pope, virtually all stated that a heretic (or apostate) could not be validly elected Pope, and that a Pope who becomes a heretic would by that fact lose his office. Most of them, including St. Robert Bellarmine, Doctor of the Church, believed that no actual judgment (by the Church) would be necessary, and such a Pope would lose his pontificate ipso facto. (A few, such as Suarez, did believe that a Council would need to declare the Pope to have lost his office.) Either way, as far as I can recall, none of them ever thought it possible that a heretic (or apostate) could be (a true) Pope. The only issue they disagreed on was how such a ‘Pope’, who had lost his office by Divine Law (by his heresy), would be deposed. The irony is that they believed this to be merely a rhetorical question, for (so they thought) God would not allow such a calamity to happen. — “Such promotion or election, shall not through any lapse of tune in the foregoing situation, be considered even partially legitimate in any way . . .
8 Behold the eyes of the Lord God are upon the sinful kingdom, and I will destroy it from the face of the earth: but yet I will not utterly destroy the house of Jacob, saith the Lord. 9 For behold I will command, and I will sift the house of Israel among all nations, as corn is sifted in a sieve: and there shall not a little stone fall to the ground. 10 All the sinners of my people shall fall by the sword: who say: The evils shall not approach, and shall not come upon us. 11 In that day I will raise up the tabernacle of David, that is fallen: and I will close up the breaches of the walls thereof, and repair what was fallen: and I will rebuild it as in the days of old. 15 And the Lord said to me: Take to thee yet the instruments of a foolish shepherd. 16 For behold I will raise up a shepherd in the land, who shall not visit what is forsaken, nor seek what is scattered, nor heal what is broken, nor nourish that which standeth, and he shall eat the flesh of the fat ones, and break their hoofs. 17 O shepherd, and idol, that forsaketh the flock: the sword upon his arm and upon his right eye: his arm shall quite wither away, and his right eye shall be utterly darkened. I favour “The See of Peter was rendered vacant / the conclave that followed was valid.” But not for the reason you think. Not because his resignation was effective, but because the attempt to split the Petrine ministry was heretical and therefore Benedict disqualifies himself as Pope (even if you ignore for now his many manifest prior heresies). Certainly an interesting way of looking at it! Hmm…so this dual-papacy heresy has disqualified Ratzinger, but Bergoglio, despite his countless heresies (or rather, his complete apostasy) was validly elected Pope?!? We are in the midst of the Devil’s Final Battle with the Modernist Freemasons in the Vatican leading the charge. The target is the papacy itself (Strike the Shepherd-Scatter the sheep). Some say there is One pope–Benedict or Francis take your pick. Some say there are Two popes–Double Trouble. Some say there is No pope–even if they are right, it doesn’t solve the mess we are in. The Devil’s greatest weapon is Confusion . 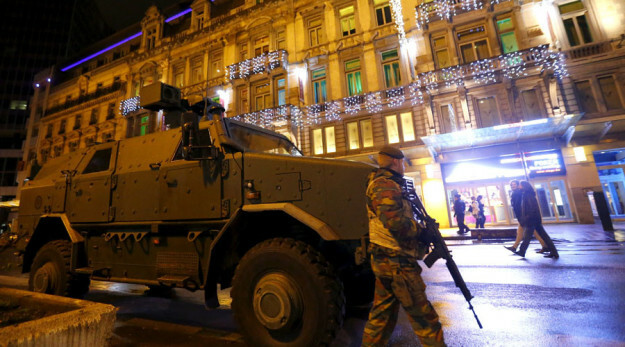 The Freemasons are doing exactly what they said they would do. …. Take over the Catholic Church while flying the Papal banner. Should we be surprised? So what is the correct vote? Read the prophecies of Our Lady of Good Success and Our Lady of LaSalette. Our Lady has given us Her weapons. Use them!! There’s a lot of misinformation going on here. In order for a Pope to be deposed, he has to be judged a heretic by his peers. That’s a fact. 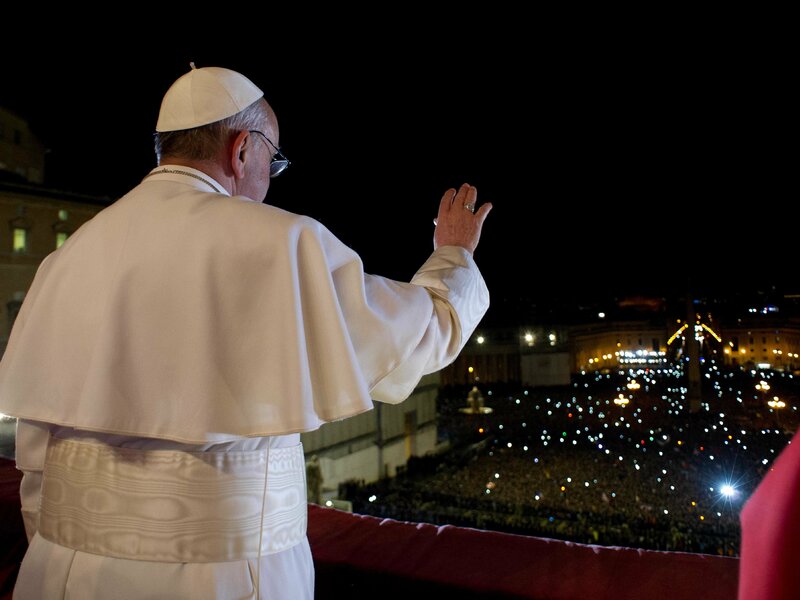 A true pope has no earthly peers….so who can judge him? Sorry but that’s not a “fact” at all. Of the theologians who have, over the centuries, considered the question of a heretical Pope, the majority believed he would lose his office ipso facto by his falling into manifest heresy. Some believed that while he would indeed, by Divine Law (i.e. before God), lose his office ipso facto, the Church (e.g. an imperfect Council) would still need to declare that he had thus lost his office. Virtually none, however, believed that such a Pope would need to (or indeed could) be judged by the Church – for, as rich correctly says, a (true) Pope cannot be judged, for he has neither superiors nor equals on earth. But, in theory, the Church could issue a declaration that the Pope had lost his office by his heresy – and thus the Church is now simply stating this fact (not judging or deposing a Pope, but simply declaring that he no longer is Pope). You should read True or False Pope? or check out their website. Actually a Pope can be judged in a certain way by the Church in the case of heresy. The famous Canon Si Paupa says this. You can find it on John Salza and Robert Siscoe’s website. In order for a freemason to be excommunicated, is an official judgment from the Church needed? I’m having difficulty thinking of any one of his peers who would have the faith and courage to judge Francis as a herectic so that he could be deposed. Can anyone think of a real possibility? A Real pope has NO EARTHLY PEERS….a true pope CANNOT be judged!! Where does this idea come from? I thought we were talking about a heretical pope like Francis, whether he is true or false. No valid pope can be judged on earth at any sort of council as to whether or not he is a heretic. Rich, Suarez and a few other theologians thought this to be the most likely scenario. That the Pope would, before God, lose his pontificate by his very falling into manifest heresy, and that the Church (most likely an imperfect Council – imperfect since without the Pope as its head) would then merely declare this to be a fact – that the Pope had thus lost his office. So the Council would not be judging or deposing a Pope, but merely declaring that he is no longer Pope (and thus no longer their superior, and hence can be deposed). That said, the Bellarmine option was generally accepted as the more probable (that no such declaration would be necessary). Either way, needless to say, there is no chance that we could see any such declaration in the current situation. That is how I understand it; the council would only be called together to formerly declare what is already known. Too much confusion regardless. The more you think you know the more you realize how much you dont know. When I see the debates that take place on sites like this it makes me wonder what chance most Catholics have….because most Catholics arent coming to sites like this. The Pope is the Bishop of Rome. Only his fellow Bishops can depose him. If the Pope’s fellow Bishops do not get together to officially declare him a heretic, he remains the Pope. The Church continues on serenely even if the Pope is not faithful to Her teachings. The Sacraments continue, the Holy Mass continues and Catholics continue being saved. Catholics are saved by being loyal to the Church, even if the Pope is not loyal. Where is it stated that the bishops can get together and depose a pope? They cannot depose him properly so speaking, but as Bellarmine says: As God made him Pope through men He will cause him to cease to be Pope through men. I am paraphrasing here. Almost all the theologians think there would need to be a general council or somthing before a Pope would become an anti Pope. Several noteworthy theologians PRIOR to VCI did yes, but their opinions on the matter were pretty much put to bed with the declarations of VCI. As to your Bellarmine quote, I would like to see it in context if you could. A General Council to see if a Pope was a heretic would not act as a superior to the Pope but would fraternally correct him and declare its findings to the faithful who would be its inferiors. If the Pope recanted his heresy then he would remain Pope. If not then he would probably be an antiPope. How would that general council even convene without being called forth by the pope to begin with? I could easily see a random bishop…or even several…calling the pope a heretic, but how would they be doing that as part of a council? This complete exemption of the Roman Pontiff from all civil jurisdiction is of divine institution, for Christ himself conferred it upon St. Peter and his successors, at least implicitly, when He entrusted to them the supreme authority, which necessarily implies such exemption. rich–You really surprise me. I never thought you considered Francis to be a REAL pope. Why would a sedevac think of Francis as REAL. If he isn’t REAL–he could be deposed. Right??? Please explain. Aren’t things confused enough already? No Bishop can depose a Pope, but Rich can! No, neither can I. A validly elected pope can only depose himself. You should know me better than that. Of COURSE bergoglio is no pope. My point is that a real pope cant be deposed by a group of his peers. This idea held by many that we need a “special council” to get rid of jorge is not possible because there is no such thing. Thats all Im saying. Fr. Berry also believed “the practically unanimous consent of the bishops and faithful in accepting a council as ecumenical or a Roman Pontiff as legitimately elected, gives ABSOLUTE AND INFALLIBLE CERTAINTY OF THE FACT.” This I known as a dogmatic fact and believed to be infallible. ****As far as francis’ election pertains to the way it was conducted. OF COURSE im a sede so I believe he was a heretic well before the election and therefore should have been banned…but that is another can of worms. I believe, based upon information regarding the manipulation of the banking industry, that Benedict was essentially coerced into abandoning/resigning. I cannot currently find the links to the articles that lead me to the belief that this was probable. This would make his resignation invalid, and a subsequent selection of a “new Pope” invalid as well. I also believe it is likely Benedict used some fancy theological reasoning to somehow reconcile this conundrum in his own mind, using the convoluted Vatican 2 documents. 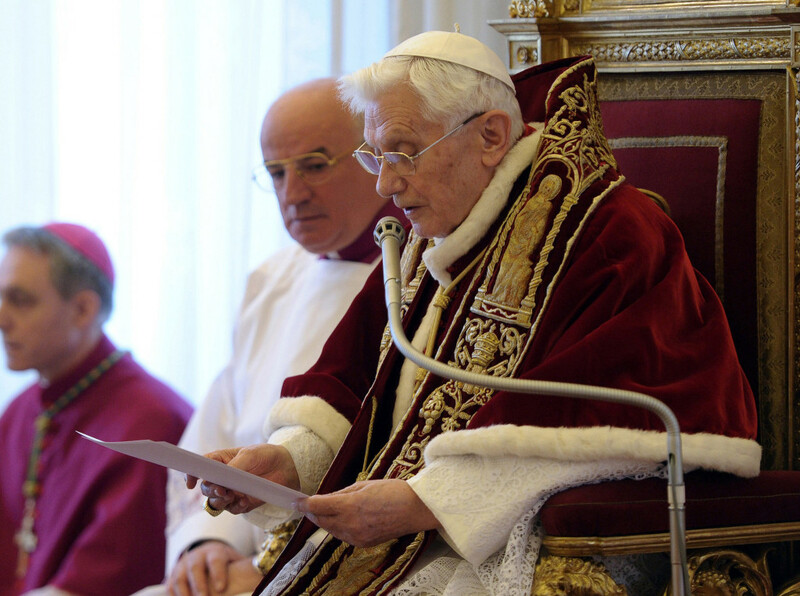 Benedict may erroneously believe the true situation is that he expanded the ministry. Objectively speaking, if Benedict did not entirely voluntarily resign, he is still Pontiff. At least, based on my understanding, this is a logical conclusion. To me, I can accept that I do not know the truth and may not know for sometime. I do know when Bergoglio speaks, Christ is abused, disrespected and denigrated, and souls are being misled. I know what I can trust, and it is the true teaching of the true Church of ages. So that is what I cling to. I have accepted that I may not know who our true Pope is, but I try to keep that from damaging my faith and hope. I have accepted there is so much evil rampant in this world, I cannot comprehend it, and it hurts me that it hurts God, but I know He allows it, and that it is for a reason, even if I don’t understand. I just accept it and offer all my suffering as reparation and for the conversion of souls. Louie, thank you for your faithfulness to our dear Lord. VRasz, we don’t know whether he was coerced into abdicating. By the same measure, and probably far more likely (as attested by some who knew what happened at the conclave, and by the 5-minute long white smoke meaning someone was elected AND had accepted the Papacy), in 1958 Cardinal Siri may well have been elected Pope, and coerced (by threats) into declining what he had earlier validly accepted, thus rendering the subsequent new election invalid. I don’t know whether that was truly the case or not, which is why I think these are fruitless speculations. What I do know is that it’s not just now (with Bergoglio) that Christ is abused and denigrated and souls are being led to hell – the same applies equally to his predecessors. 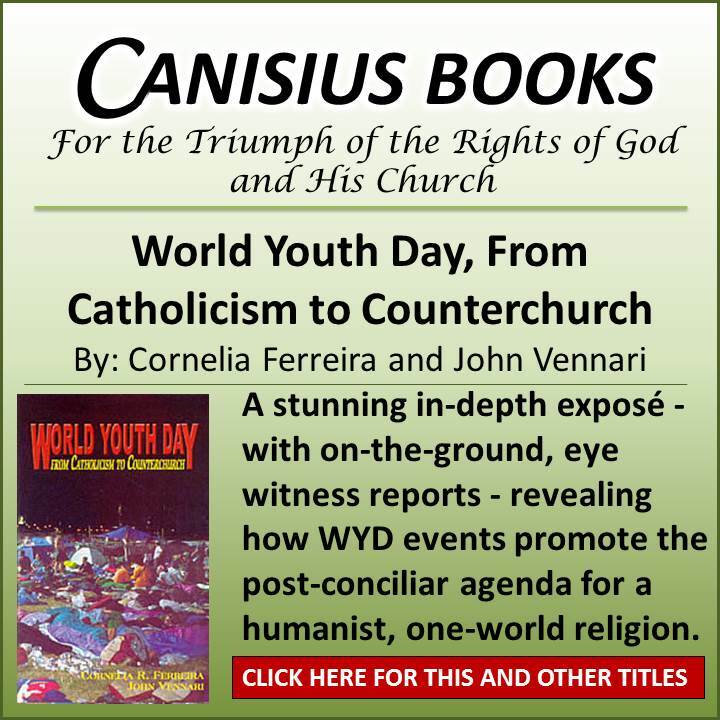 Wojtyla has done far more damage over the 27 years than Bergoglio ever could – if only because by now the vast majority of those who decades ago still had the Faith, no longer have it, courtesy of the Conciliar Church. TC, I don’t disagree with you. Also, I did say “I believed” it was probable, Benedict was coerced. I specifically chose not to state it as a fact. I also am not certain what to believe in regards to Cardinal Siri either. My acceptance of the fact that I do not know definitively who is our true Pope is not limited to Benedict and Francis, nor do I deny the damage done since Varican 2 by those in the Vatican. I am only 34, and did not become aware of the goings on in the church hierarchy, or was even exposed to true Church teachings in their fullness until the last 4 years when my efforts to grow in faith and understanding uncovered the inconsistencies within Vatican 2 as compared to older materials I was reading. So when JP2 was in the Vatican, I did not feel the outrage at that point in my life, because I did not know enough yet. I believe the wheat is being separated from the shaft with vigor over the past 3 years, particularly for the generations born after V2. Also, I was replying to Louie’s specific question, which was limited to his choices. My other point was that I do not think we can know this answer right now, because we cannot know Benedict’s mind at the moment of resignation, or the mind of Cardinal Siri for that matter. But we can know what the true Church teaches. I have struggled with despair and deep sadness during the past 3 years over what I have witnessed and over wondering who is our true Pope, as I’m sure many others have, and I believe those feelings and other natural reactions by good and holy people to not knowing what to believe in this area, can be obstacles to spiritual health and growth, which is why I made the comment regarding the acceptance of not knowing for sure. We should continue to seek to learn the truth, and educate ourselves and stay vigilant lest we be deceived, but I do not think the answer to this question will be definitively revealed until God is ready to do so. I think you’re right, and are speaking the thoughts of many of us who struggle daily with what is going on in our times. God bless you for your fidelity with steadfastness to the end. Miss White–and for that matter so also Miss Barnhardt–covers much territory, but let’s try to start from the immediate beginning of the mess the Church is in. 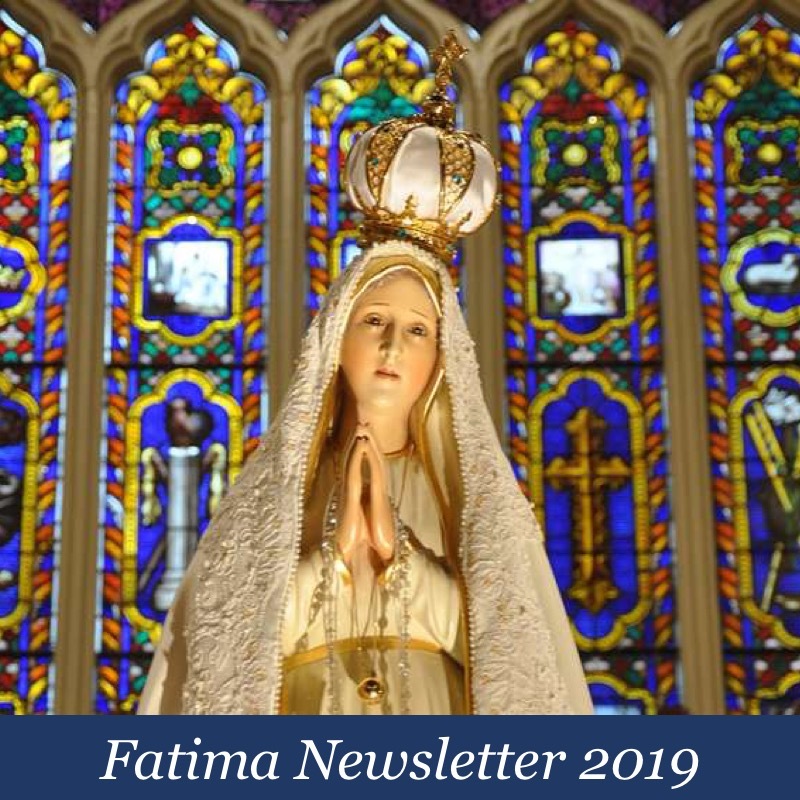 The problem is evident, it is bearing heavily on the minds of good people, it is undeniably connected with the Fatima Secret, and it is unprecedented–one that not even the most perceptive theologians and canonists could have foreseen. So what must one do in trying to solve it? How does one usually come to an understanding of the nature of things, of reality, and thence to undertaking some sort of action? The answer is of course through causes. We know also the ultimate remedy of the situation in the Church and the world is the consecration of Russia-a cause by the spreading of her errors, but it is evident that there seems to be no Pope or rather enough Bishops to fulfill Our Lady’s request. However, before that remedy can be applied there are more immediate ones that must be addressed in order to fulfill Our Lady’s request for the consecration of Russia. It seems, then, that the absolute immediate cause of the present situation is that which hatched Francis onto the stage, he who is causing so much division and confusion in the Mystical Body of Christ. Of course, only that direct and immediate cause, the renunciation of Pope Benedict, can be blamed. been ascribed to them (Benedict & Ganswein) by the press? If anyone answers “yes” I’ll just have to grit my teeth and bear with it. It certainly wasn’t considered stupid when Pope Benedict freed up the Old Mass, lifted the “excommunications” of the SSPS Bishops, corrected the translation of “pro multis”, challenged the “Party Line” regarding Fatima, among other things. He is not stupid, nor is he a coward. He does, however, have diabolical enemies within the Vatican (google Fr. Amorth, retired chief Exorcist of Rome for his memoirs). Now back to the “first cause”, Benedict’s renunciation. This alone must give the clue to Benedict’s intentions and motives, as well as at least a partial solution to the problem; and he announced his renunciation IN LATIN for a purpose, when Italian has since VCII become as it were the “official” language of the Vatican. In any case, in Latin or Italian–more so the Latin–the use of the Subjunctive Mood, the mood “contrary to fact”, is used regularly for diplomatic purposes and sensitive material. Fr. Reginald Foster, former professor of Latin at the Gregorian University in Rome and considered as one of the world’s foremost Latinists, has confirmed this in his classes. not used legitimately, but it can be. Benedict?” Dom Ganswein actually does the VERY same thing in his speech! I leave readers with these questions for I have shown, for those who may be interested, how Pope Benedict as well as Dom Ganswein have used the Subjunctive Mood of the Latin and Italian languages, the former in order to maintain the Papacy while placing himself in a position analogous to a Pope in hiding, a Pope in captivity, or a Pope in exile (so as to keep the Papacy out of the hands of the diabolical Vatican mafia who wish to transform the Church from the Institution of salvation founded by Christ to a “church” of damnation), the latter, in order to protect Benedict from the enemies of the Church in the Vatican. Our Lady at Akita told Sr. Agnes that in these times there would be many who would compromise, and unfortunately many of the hierarchy are doing precisely that, most probably out of fear. What they need is for the Laity to rise up and give them a push in the right direction. Just a follow-up to my previous comment. The argument that we must wait for the Church to decide, used by so many, is presumptuous, for when it came to an anti-Pope St.
Onepeter5 had a good piece on Anne Catherine’s prophesy in the two Popes. It turns out the quotes are taken out of context. I’m not going to make any judgements on such an important matter until I hear the words out of Pope Benedict’s mouth himself. If Pope Benedict confirms what was said about the expanded Petrine office then A) It is impossible to do this and thus B) the conclave to elect Pope Francis was invalid. But until I hear the words from Pope Benedict himself, I’m going to assume otherwise. “What a mess” sums it up very nicely. The election is not forbidden in actual practice. The quality of the man may be entirely questionable, but God can and has allowed bad men to occupy the chair of Peter. The election of these men on the part of the Cardinals was illicit, just as the election of Saul to be King on the part of the Israelites was illicit. But those men were valid Popes just as Saul was a valid King over Israel. The licety I am referring to is this, the quality of the man that is Jorge Bergolio as well as Ratzinger which the original statement by TC goes on to state that he thinks it probable that neither of these men has ever been Pope. In light of the fact that the Church at large has accepted Benedict as the visible Pope is not in doubt. Much the same I’d argue for Francis. Benedict was Pope and resigned. His dual-papal statement is worthy of investigation for heresy. Francis is the accepted reigning Pope of the visible Church. Whether he continues to remain so is a matter of investigation into his public heresies and actions. Clearly we have throughout Church History even since the time of Israel. Catholics are still bound to recognize the outcome of a Papal Election just as they are to recognize an appointment of a local bishop to their diocese. Or they are bound to recognize a declaration of excommunication or nullity or suspension against clergy or laity. All non-sacramental things. All open to abuse and illicity. Protestantism and schism would also just be a ‘positions’ according to this logic whereby under suspicion of something any Pope may be uncovered to say, all the bishops and cardinals be declared lost of office for following him and saying we only exist in a ‘position.’ I know that is not what you intend to say, but you must be careful. You are setting yourself up in private judgment without access to the man you accuse of heresy to publicly judge and uncover it, nor do you possess the rightful authority to declare it so and thus cannot bind anyone to this personal inquisition of yours. You can hold it as a theoretical idea. But in the end not a declaration of fact. Actually we don’t. We acknowledge that Vatican II is a break with tradition and is a product of the men within the CHurch who hold valid orders & authority but illicit motives. Actually it is you who does not heed the authority of the Church to pronounce who is Pope or not. If these Popes are heretics, they must be judged by the proper authorities to uncover this heresy, then ruling that they are in fact informed yet obstinate heretics and have therefore cast from themselves the Papacy, this fact is then revealed by the authority of the Church. Until then all you have is a speculative theory which could be right, but it is of no practical worth. So who does the Pope submit himself to in the Confessional? Who judges him and then assigns him penance? Hmmm? So either Vatican I was unaware that all along the Pope was submitting himself to an inferior in the Confessional where he is judged and assigned penance for centuries since Peter, or their declaration is within a context as Vatican I states that the Pope cannot be judged when He is exercising his office rightly in accord with the Teachings of the Church and God Himself. It presumes acts by a Faithful Pope. Not a heretical one or one acting for sinful motives. I think we should stop using the word illicit when it comes to papal elections and start using the word invalid. A man cannot become a pope through an invalid election. I understand that bad men may become popes, and I understand that bad men may elect popes, but invalid elections are different from either. Neither the moral character of the men being elected nor the moral character of those doing the electing means anything; the only things that matter are whether or not the election was valid to begin with (a public heretic being elected would cause the election to be invalid) and whether or not the pope becomes a public heretic after the election. Im not saying that the whole “invalid resignation of benedict” theory is of no importance, but to someone as myself….benedict was never the pope to begin with. As for the “private judgment” argument used against the sede position, the same can be said….and is said a great deal….about traditionalists who pick and choose when they will obey the supposedly “supreme pontiff” who, according to strict Catholic law, is the be all and all among men when it comes to faith, moral, and obedience. 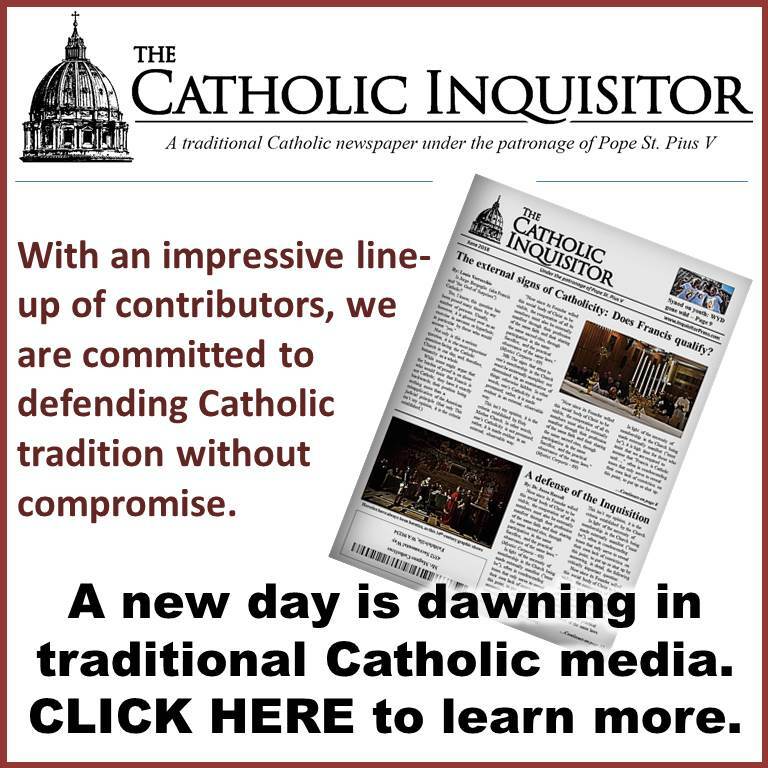 Yes I know…you’ll now tell me that when a pope teaches in opposition to the faith than we have an obligation to disobey him….and then I’ll say well, if he’s teaching in opposition to the faith then he’s a heretic and therefore no longer part of the Church…and therefore cannot possibly be pope. And we’ll keep going around in circles after that. That depends… The Pope may speak heresy out of ignorance, in which case we may disobey him, but would not make him a formal heretic nor cost the loss of his office. If he actually is speaking heresy obstinately, then indeed he would be a formal heretic and we’d disobey him. But the ultimate verdict that he is so must come from an investigation and trial followed by a declaration. All I’m saying is that one may be free to suspect him of being so, but the actual sentence for the CRIME of heresy and the loss of office must come from the Church. Only then would it be an established fact where history is concerned. I would simply ask you where it is written that such an investigation and trial would to able to take place to begin with? As far as whether or not he is obstinate in his heresies, I think we all know the answer to that. I also know full well that even if the Church allowed for a trial like you suggest (which I fully believe it doesnt), then who would even call for this trial? No I did not. Please see my reply to him. The distinction between a sacramental or an act of authority is indeed different but still binding on the faithful. The act to install a Pope is binding on the faithful just as an act of installing a bishop at a particular diocese or assigning a priest to a particular Church. The laity may complain all they like but the final decision of who does what where is the act of a superior. Even if a flaming homo is made your parish priest, not only does he possess a valid but illicit ordination, but he also possesses a right to occupy the role of pastor of your Church until your local Bishop decides otherwise. You are welcome to attend another Mass elsewhere, but removing him is an act of his superior. Yes, but a heretic must have been formally declared to be one prior to taking that office. What we have here is a situation where a Pope is obviously demonstrating signs of material heresy after the fact. So the problem is about how to investigate, judge and depose him. This must come from the proper authority, which given the Pope’s position of authority would be a Council. If he’s determined to be a heretic by public trial and warned and remains obstinate he loses the office, and this is declared to the world. John Salza and others have already demolished this in that Bellarmine indeed did not delcare that this was left up to the private judgment of laity and would have to follow a declaration of the Church. Please go read their detailed refutation of this. They opinied that such a calamity was unlikely, but they dealt with the question to such an extent because of their own uncertainty. I believe that in the coming years once the Church is set straight after this whole fiasco, a future Pope and a Council will finally have to sit down and deal with this question, define and rule on it and set up the procedure clearly for Christianity going forward. Yes, but that condition would have to be known and publicly declared such prior to election, or investigated and demonstrated as such afterwards. It was a response to DavidPorter’s idea, wherein he states that simultaneously at the moment of his declaration of resignation, he introduces a heresy of a dual papacy. And thus at that moment would be suspect of heresy, such that the crowd that declares somehow that Benedict XVI is still the Pope are likewise faced with the possibility that if he does hold to such an error then he too can be judged as a heretic and therefore loses the Papacy, which means that the election of Francis is valid and he is not an anti-Pope by definition. I was only entertaining his idea. As I said to Rich, there are exceptions where a Pope is judged – such as when he submits himself to the judgment of his confessor to receive reconciliation. The Council Fathers who declared the Pope cannot be judged were not unaware of this fact and therefore there are circumstances when the Pope can be judged, such as when he commits sin or promotes sin or heresy, because they run couter to God, who is the authority above the Pope and the measure against which he can be judged. The context therefore wherein the Pope cannot be judged is when he exercises his office in accord with the Infallible Teachings of the Church and in accordance with the will of God. When he acts thusly and this is demonstratable, then he cannot be judged, there would in fact be absolutely no grounds to do so. The declaration is necessary. If you and I harbor private opinions about the state of the Pope, that’s one thing. That is be an actual matter of fact requires the competent authority to investigate it and declare it as such. Any relevant quotes to prove this claim? None of the authors (i.e. the well renowned theologians and Doctors, from ancient Fathers up to those of the more recent centuries) whose texts on this matter I have read have imposed such a condition (if memory serves me well). As for recommending the book of Siscoe & Salza – they have misrepresented and distorted (and taken out of context) a number of texts so as to make them seem to fit their anti-sedevacantist position. I do not trust them whatsoever, nor do I see the need to read their book. With regards to Bellarmine, I’ve read his De Romano Pontifice (volume I; volume II is still waiting in my library for whenever time allows to read it). It is in the first volume (chapter 30 if I recall correctly) that he writes on the question of a heretical Pope. I’m traveling, so don’t have the book at hand (but can scan the relevant pages later if anyone is interested). He expressly rejects the opinion of some (like Card. Cayetan, etc) who said that a Pope who fell into heresy would need to be judged and deposed by the Church. Bellarmine refutes this and states that the Church can not judge a Pope, and that a Pope would be deposed _ipso facto_ by his falling into heresy. If I remember correctly Bellarmine even quotes a number of the ancient Fathers and Doctors who said that a heretic would _ipso facto_ lose all jurisdiction and power of office at the moment when he became manifest/public heretic (i.e. _not_ only after being judged by the Church). You mention a Pope being “judged” in confession, but this has absolutely nothing to do with being judged by a man/Church/Council. In confession he is judged by God – the confessor acts in persona Christi, it is Christ, not the priest as a man. A Council, or cardinals, or priests etc have no power to act in persona Christi in an ecclesiastical judgement. The bit you quote from Bellarmine is not relevant here – it is about whether a _secret_ heretic is deposed. (Clearly, a secret heretic, i.e. such one that only God knows of his heresy, or some few select people, but where the heresy is not widely known, public, manifest, does not lose his office.) If you read the entire chapter (30, I believe) of his book (De Romano Pontifice, volume I) you will see what Bellarmine’s position really is, and his arguments. He also discusses the other 4 possible positions and clearly refutes them one by one. Of course, none of this is applicable to our times, for there is no chance that the (non-Catholic) Novus Ordo churchmen would declare that their (non-Catholic) “Pope” had lost his office (after all, his heresies are the new doctrines of the post-Vatican II Church). This thread has become too long and I’m writing in a rush, without having had time to read all the recent comments… so apologies if I’m confusing the names of the comment authors. I believe it was rich who wrote something about most Catholics having little chance when even those who are thinking of and studying these matters are so confused. Actually, I’d say that perhaps those who are still genuinely Catholic (clinging to their Faith, praying, and leaving the rest in the hands of God, and accepting as a cross coming from God any confusion and grief caused by this mess) have a better chance than those of us who get too involved in reading, studying, discussing and contemplating all this stuff. A couple of years ago I spent a good number of months reading all the texts (from a dozen authors across various centuries) touching on the question of a heretical Pope (or a heretical ecclesiastic in general). In all honesty – aside of the near absolute certainty that these recent “Popes” could not have been Popes – all it gave me was a sort of prideful satisfaction of having studied all I could find on the matter. You see, it’s much easier and often more satisfying (to human pride) to do these sort of things than to spend the same amount of time in prayer, daily Mass, etc. I actually ended up neglecting the spiritual life during that time – which is something very easy to do when one’s focus is solely on doctrine and theology rather than prayer and meditation (and trusting God – another tough one!). So perhaps those who simply accept that we cannot know everything, and that only God understands and can solve this unfathomable situation (not just of today but since VII) actually have it easier. While I do not believe Bergoglio (or Ratzinger, etc) is a true Pope (i.e. a Pope of the Catholic Church, rather than the “Pope” of the Novus Ordo anti-Church), it is clearly not something I can impose on anyone else. It seems imprudent (and quite indefensible) that each party (sedevacantists and non-sedevacantists) deems the other to be heretical and on the way to hell, merely on the basis of believing Bergoglio to be Pope or not. No person on earth can possibly know with 100% certainty what is the truth about the post-VII Church and its hierarchy – only God knows for sure. And I reckon only He can solve it at this stage. In any case… enough rambling… I should be spending more time praying, instead of commenting on blogs. I just now, in the early hours of 7/15 read your post from over two weeks ago. Well done. The See of Peter was rendered vacant / the conclave that followed was invalid. He’s inching closer and closer to his goal. Now watch as Michael “Hate the Gays, Love Francis” Voris and One Millimeter Peter spin this to make it look like the evil Cardinals are the bad guys. Bergoglio is a villain. He is the forerunner to the anti-Christ. rich–Are you still a sedevac? You now seem to think Francis is REAL and VALID. Please explain!! Im not sure what I said to make you think that but I must have said something confusing…sorry for that. My feelings about jorge bergoglio are the same as they have been. He’s no more a pope than any heretic, non-believer, or female could be. Thank you, rich, I thought you were saying that a valid/ real pope could not be deposed by his peers. I didn’t think you would ever consider Francis to be REAL or VALID. Maybe we could agree that the heretics who put him in there, should (or could) take him out by any means. Resignation (or death) is not good enough. He must be exposed for what he is—an absolute menace. I think we can both agree that things are a total disaster right now. I wish I knew even 10% of what I should know. Anne Barnhardt nailed it and Benedict XVI is still The sitting Pontiff. Not sure if he’s captive or has gone along willingly …not sure about the real intentions of anything he’s ever done or said, but I love him dearly and while I’m not crazy about Jorge, he’s always in my rosaries for his conversion. If the comments throughout this thread are anything to go by, confusion and division form the kernel of the present day Church. We truly do live in extraordinary times.